Summer is right around the corner here in Brevard County. If you are a long time Floridian, then you know how hot and humid it can get this time of year. This can make some everyday tasks almost unbearable, and cleaning your house is no exception. So, why not take advantage of spring fever and get have a huge clean up now, before the heat sets in? Spring cleaning season is officially here and we want to help you through it. We at Cassels Garage thought it might be nice for us to put together an easy to follow as well as easy to accomplish cleaning checklist. This will help to ensure that your cleaning experience is as fast and efficient as possible so you can get out and enjoy this beautiful spring here in Melbourne, FL without having to worry about the mess that is waiting at home. This one is a must. Take the time to go through all your clothes, shoes and more. Make separate piles for keep, donate, resell, and trash. Make sure you are honest with yourself and what you will actually wear again. If you haven’t thought of wearing it in the last year, you should probably get rid of it. Clear out some space for whatever new items you might get this year and do some research on where you might be able to get some money back by reselling gently used items. Throw out empty shampoo bottles and give your bathroom a nice scrubbing. Make sure to get all the areas you don’t usually clean. Pop in a plugin air freshener when its all said and done and enjoy. You know that stuff that you just threw in your storage room or bins and thought, “Eh, I’ll get to it someday.”? Yeah, someday is now and it is time to go through that and decide what you actually need. It’s also time to find out what monsters (or trash) is living under your bed. Don’t be scared, just get to cleaning. Grab your shredding machine and get to chopping. Recycle any papers you no longer need, clean up any stray books or files and get your life sorted. Give those shelves a good wipe down. You wouldn’t want to eat off plates or cups that have been resting in filth, would you? Nope. Give all of your basic medicine’s expiration dates a glace and double check you don’t have any expired Neosporin or Advil before you have an accident and need them. Throw out any busted appliances, unsalvageable soccer balls, old dog bones and any other items that have taken up residence in your garage. Don’t forget to give your vehicle some tender loving cleaning. People spend a lot of time their cars, so why not take care of yours? Clean it out and then feel free to come over to Cassels Garage. We can help you change your oil, pump up your tires, and give your vehicle a look over to make sure everything is good to go. Cassels Garage is a family owned and operated Brevard County small business. We would love to help you with any and all of your vehicle servicing needs. Stop in, call, or check out our website to make an appointment today. When you take your car in to get an oil change, there are typically two options you can consider for your vehicle – conventional or synthetic. If you are not careful, or you take it to the wrong auto repair shop, you may end up with the wrong kind of oil in your car. Newer car models typically use full synthetic oil options while older car models tend to use conventional. 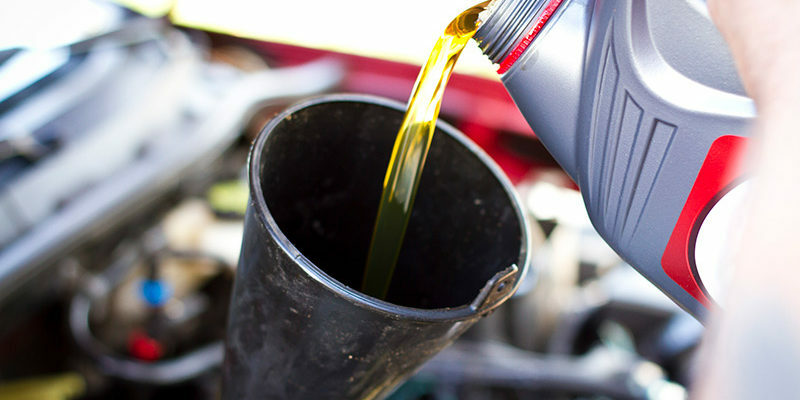 At Cassels Garage, we recommend that you maintain one kind of oil in your car and you don’t switch back and forth. As a full-service auto repair shop in Melbourne, FL, we make it our business to keep your car well-maintained. In addition to oil changes, we perform brake checks, tire rotations, transmission repairs and other types of auto repair services. We also offer vehicle fleet maintenance for many Brevard County businesses. April is Distracted Driving Awareness month. 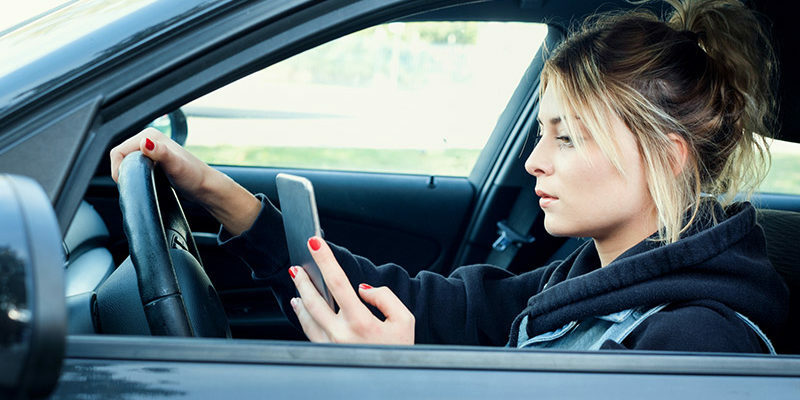 Police departments, highway patrol, and auto insurance carriers are teaming up to raise awareness and encourage every driver to be more proactive behind the wheel. At Cassels Garage, a full-service auto repair shop in Melbourne, FL, we want to join the effort to promote safe driving. While we can make your car as safe and well-maintained as possible by performing brake checks, oil changes, tire rotations and transmission repairs, your safety on the road is ultimately up to you and the drivers around you. So, we wanted to take some time and talk about the dangers of distracted driving so you can do your part to make the road a safer place.